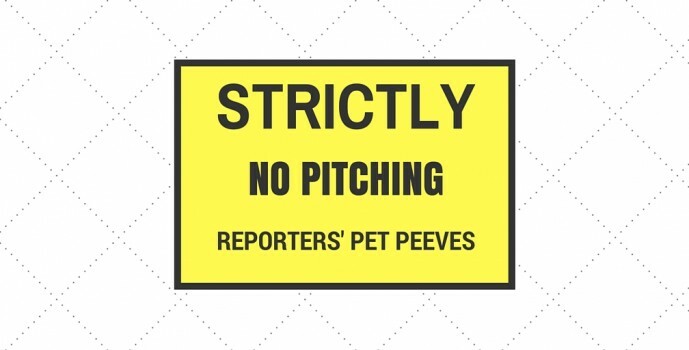 Your pet peeve may be reporters who don’t respond to your pitches. But did you ever think that maybe they’re not responding because you’re hitting on one of their pet peeves? – Sending news releases that are so long a reporter doesn’t have time to read them or so short that they leave out the details a reporter would want to know. – Pitching irrelevant stories when major news events are happening. A newsroom is an extremely busy place when big stories are breaking. Be mindful of your timing. – Trying to tell reporters how to cover your story when they arrive. Let them do their jobs. Just try to be helpful and provide them with the information they need in a timely manner.